Aqua Tech Marine was founded by Rob Branagh in 2000. 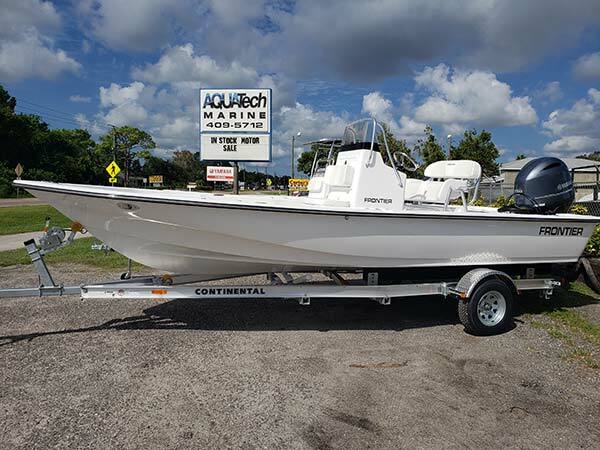 Located near the Indian River Lagoon on Palm Bay Rd in Palm Bay, FL, we are south Brevard County's premier marine sales and service center. As a full service authorized Evinrude, Mercury, Yamaha, Suzuki, and Honda dealership, our team of technicians can quickly and accurately diagnose and repair even the most difficult problem you may experience. Our new lines of Bass Cat and Bayliner boats provide top of the line and best value to both fresh and salt water boaters. Our workplace provides and open, supportive and team oriented environment, where associates can achieve job satisfaction, professional and personal growth and be compensated based on individual as well as company performance.